Camden is in his second year with the NSYO. He has played drums since the age of six, and piano since the age of eight. Camden became interested in classical music after experiencing the NSYO’s alumni concert during the 2016/17 season. His favourite composition is Sibelius’ Second Symphony, which inspired him to join NSYO the following season. In his free time, Camden can be seen drinking tea and watching The Office. 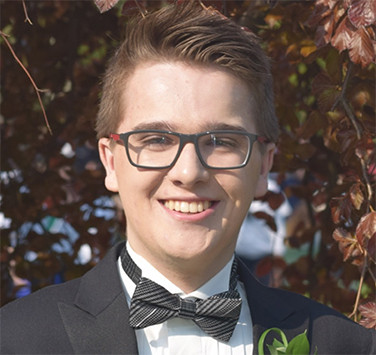 Camden is in his first year at Acadia University studying music performance, and plans to become an orchestral percussionist.